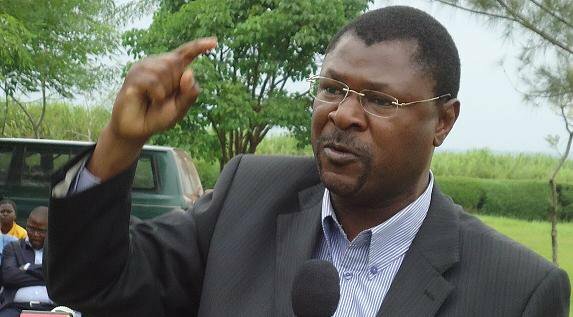 Ford Kenya kingpin Moses Masika Wetangula wants to be the President of the Republic of Kenya. Mr Wetangula says he is focused on the 2022 duel and he has strategies that will help him win. First on his agenda is to continue talks with popular leaders in Western Kenya such as Governor Oparanya and Musalia Mudavadi to get their support. He believes that he will have better chances when the Western Region residents vote as a solid block in 2022. The Bungoma senator also asks Luhyas to register 'kumirak kumira' and come out in 100% voter turn out to ensure his dream comes to reality. This time we have schemed properly. We will either form the government or be part of the government. We have been talking with our brothers Musalia Mudavadi, Wycliffe Oparanya and others over the 2022 election. We will soon reach an amicable solution. Speaking at the burial of Tongaren MP Eseli Simiyu's sister, he said that the talks are in an advanced stage and will not be like past talks. He says that the community is now very serious in the presidency that has eluded them completely. Also speaking at the burial,Governor Wycliffe Wangamati said the region has been in the cold since 2013 and plan to make government in 2022. Other leaders at the event mentioned that the only way they will be taken seriously is if they speak in one voice.